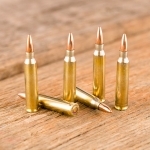 Originally developed for use in the M4 carbine, the main purpose of 300 AAC Blackout ammo is to achieve ballistics similar to the 7.62×39mm Soviet cartridge in an AR-15 while using standard AR-15 magazines.' 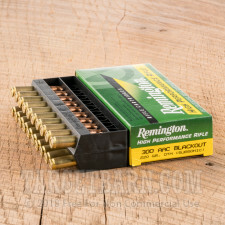 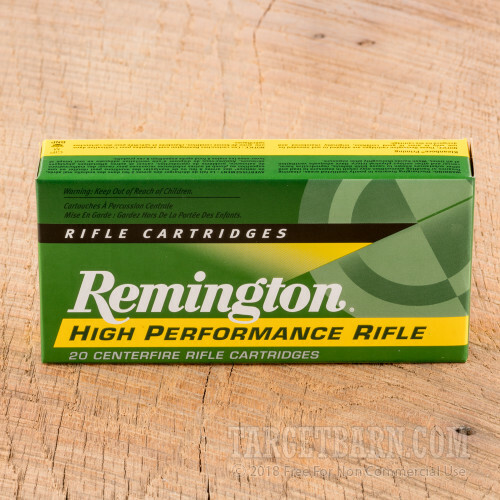 Manufactured at the Remington factory in Lanoke, Arkansas, these Express 300 AAC Blackout rounds deliver solid, consistent sub-sonic performance. 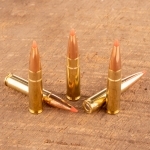 Perfect for match shooting and range training, you get 20 rounds of highly accurate ammunition. 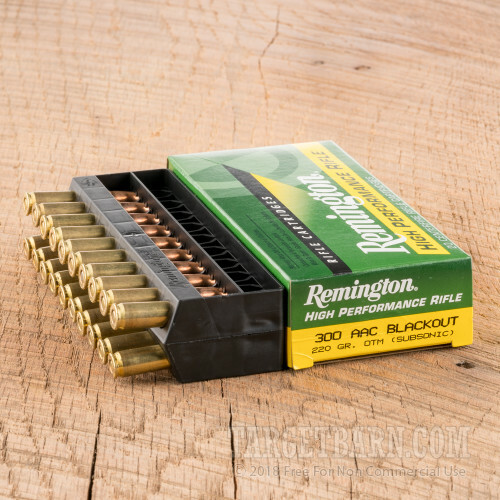 Each round is loaded with a 220 grain open tip match projectile (OTM) designed for one specific purpose, long distance accuracy. 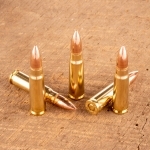 These bullets shoot better than a most 9mm MP5 in penetration and accuracy. 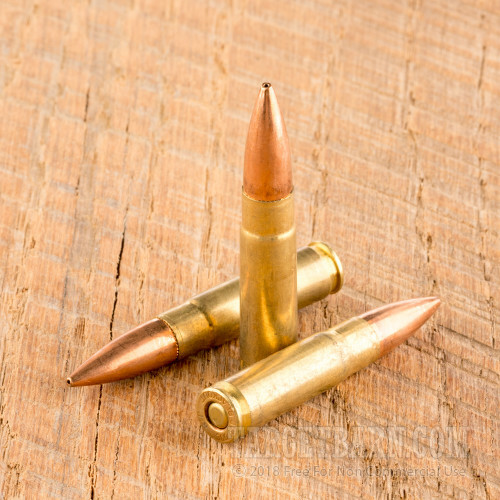 With near perfect weight distribution, these projectiles deliver spot-on accuracy for extra long range applications. 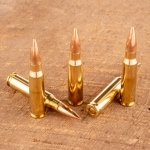 The brass cartridges feature a standard 5.56mm taper to reduce bolt strain and minimize wear and tear on your weapon. 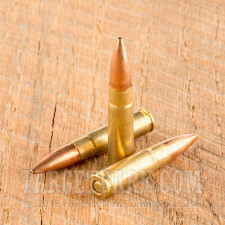 Delivering a consistent muzzle velocity of 1015 feet per second and a muzzle energy of 503 foot pounds, each round is non corrosive, brass cased, and boxer primed.